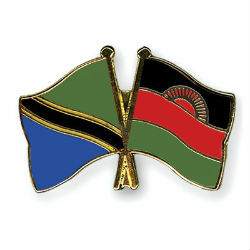 In an effort to strengthen international cooperation in the enforcement of competition and consumer protection laws between the two countries, the Tanzania Fair Competition Commission (FCC) has signed a Memorandum of Understanding (MoU) with the Malawi Competition and Fair Trading Commission (CFTC). According to the Director General of the Tanzania FCC, Frederick Ringo, the agreement will help to further identify the challenges that face the business communities within and across the two countries. Commissioner of the Malawi CFTC, Gerard Chigona echoed Dr. Ringo’s enthusiasm, indicating that the newly signed agreement will facilitate technical cooperation activities between the two countries in the area of competition and consumer law enforcement and policy. Dr. Chigona further explained that shared activities, which will also include trading courses and staff exchange programs, will facilitate cross-border competition and consumer protection in addition to improving trade relations between the two countries.